Why ruin your Sunshine Coast holiday by carrying extra luggage? Do yourself a favour - make life easy, hire what you need from Holiday Hiring Service. We can supply all you need - just click the image to see our extensive range of Sunshine Coast hire goods. Then contact us by any of the following methods. When you are travelling with babies and young children there is always so much extra gear you need. We make it possible for you to hire all the baby equipment you will require. Our range includes bassinettes, cots, change tables, car seats, prams, high chairs and more. 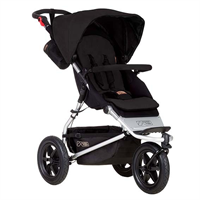 Check out our baby hire range below. We have a wide range of beach essentials available to ensure that your time spent at the beach is relaxed and fun filled as possible. 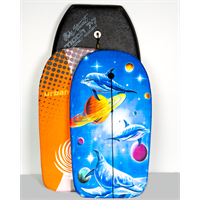 The items include beach umbrellas, beach shelters, beach chairs, eskys and boogie boards. Having guests to stay and don't have spare beds for them? Then call us and we can solve your problem for you by supplying strong, comfortable rollaway beds with foam mattresses. 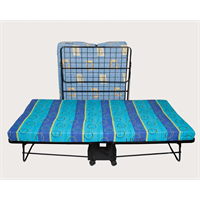 The beds have wheels and can be folded away neatly during the day. They are suitable for 8 year old children to adults. 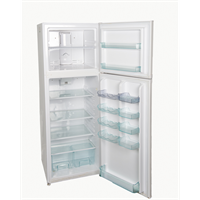 Our large range of electrical hire items includes refrigerators, freezers, washing machines, microwaves and TVs. We also have smaller electrical appliance hire items such as fans and heaters. Are you visiting family or friends on the Sunshine Coast and would like to leave your mobility aids at home? Well, we can help you by supplying you with the ltems you require. 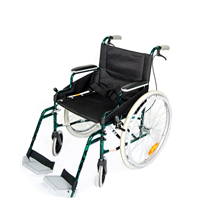 Our range of goods includes wheel chairs, wheelie walkers, commodes, shower chairs and crutches. Why not opt for the hassle-free option to hire all your linen requirements for your holiday. 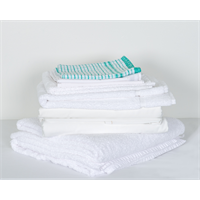 This saves you the effort of having to pack bulky linen and towels and also saves the hassle of washing and ironing when you return home. Let us do all the hard work for you!